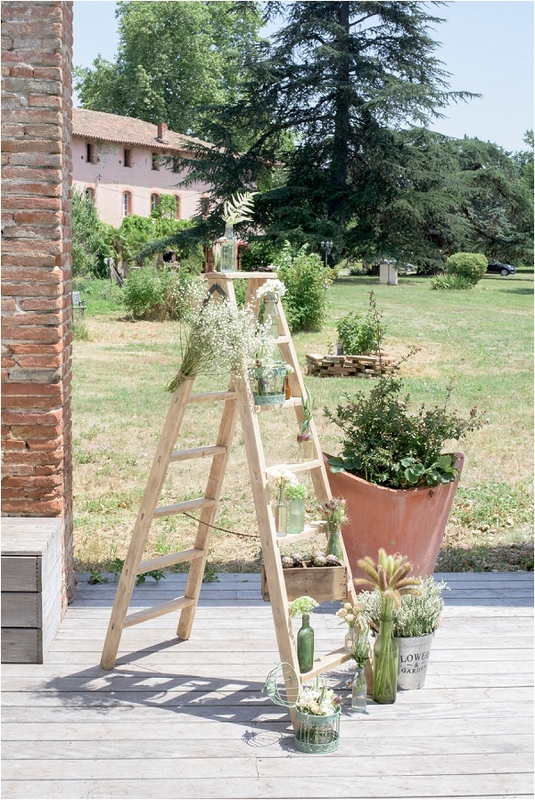 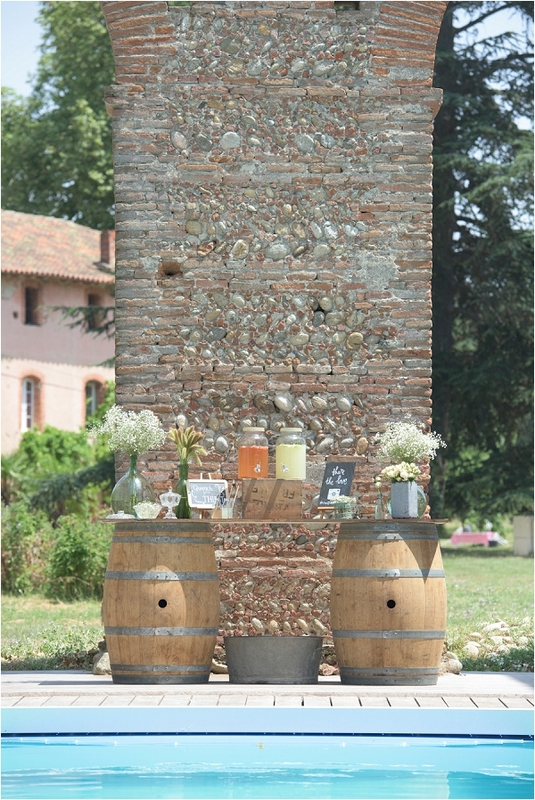 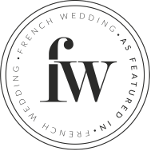 Good morning, today we are traveling to the South West of France to explore an elegant vintage wedding inspiration shoot that took place last summer, organised, decorated and photographed by FWS vendor Awardweddings. 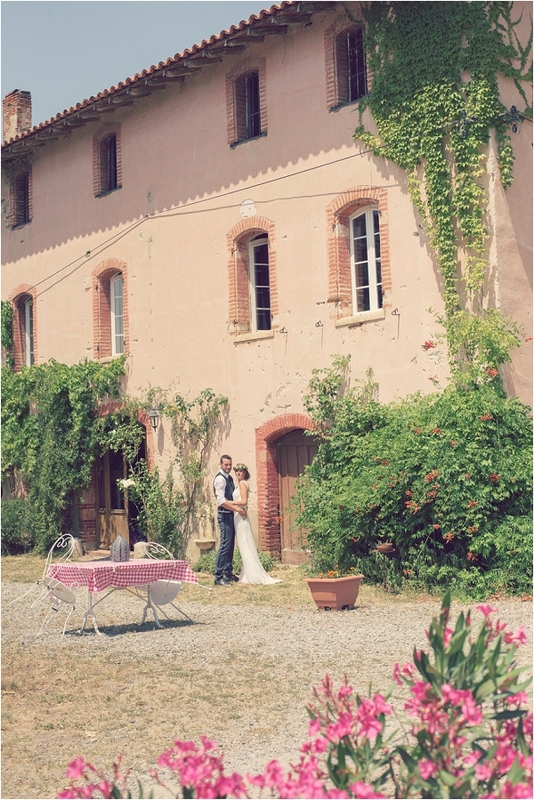 The venue for the shoot is the stunning Domaine du Beyssac. Clementine gathered a team of very talented local suppliers to showcase their work, and most importantly demonstrate how fantastic the venue can be. 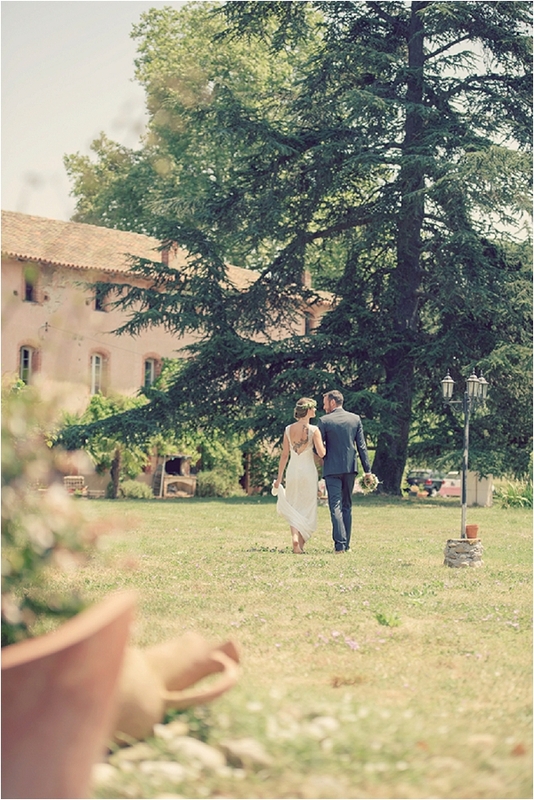 Domaine du Beyssac is a unique venue, it is an old abbaye located on the grounds of a rustic French chateau, with views of the Pyrenees mountains. 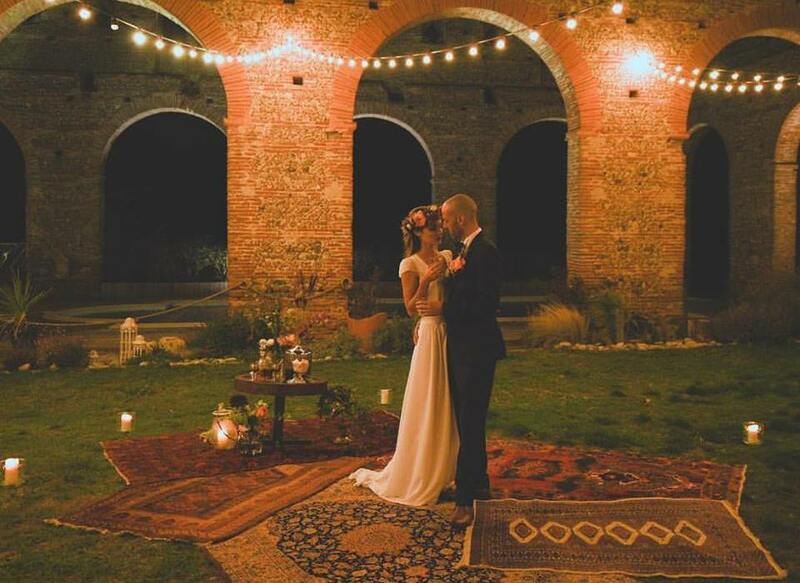 Serenity and beauty best describe this place and every couple getting married there comment on how relaxed their experience has been. 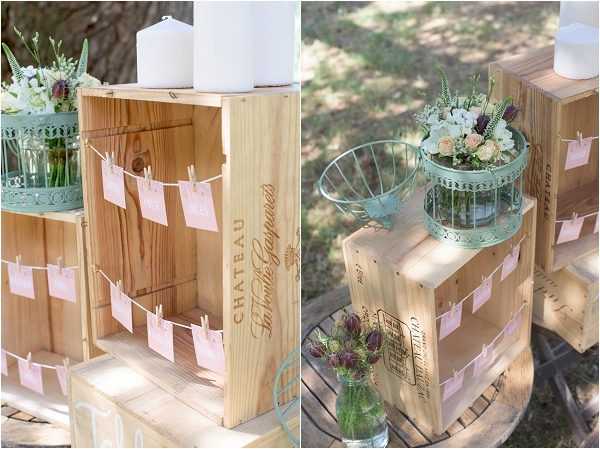 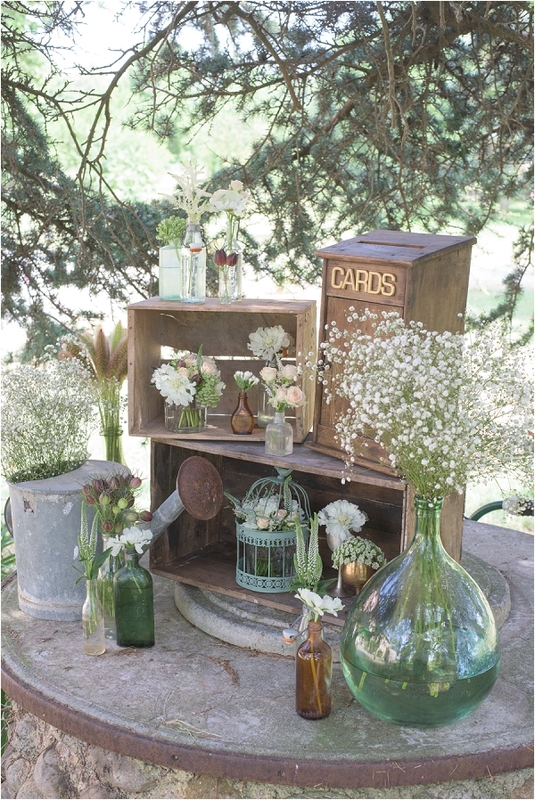 Catherine from Awardweddings, together with Camomille Flowers (flowers and decorations) and Le Comptoir du bonheur by Vincelie (stationery), used a vintage style with a hint of country rustic to complement the surroundings. 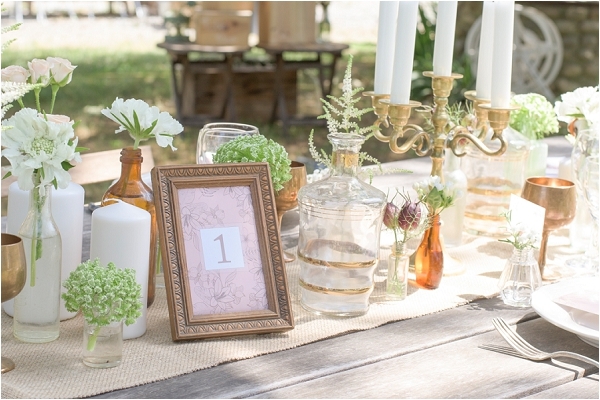 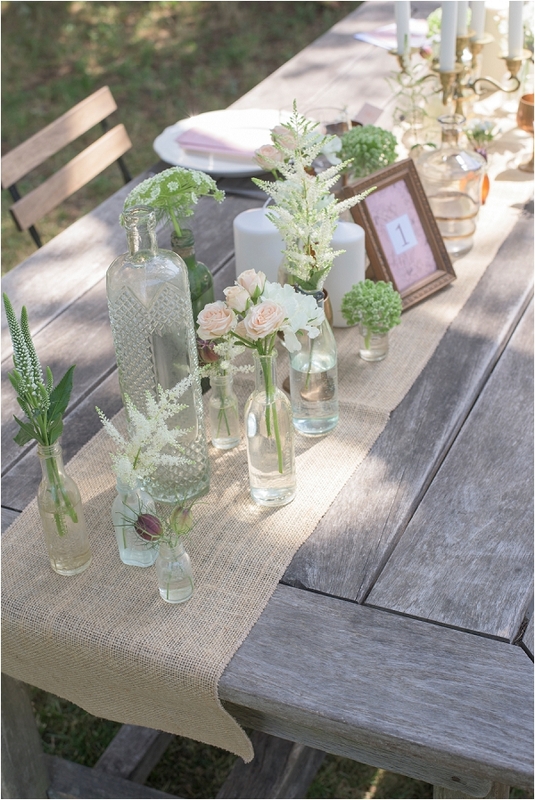 Golden, green, coral and cream colours decorated the dining table. 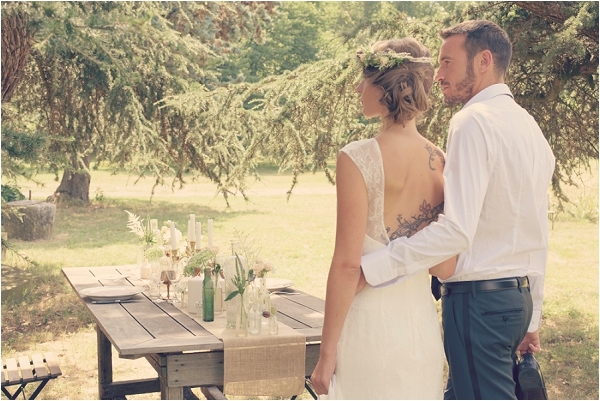 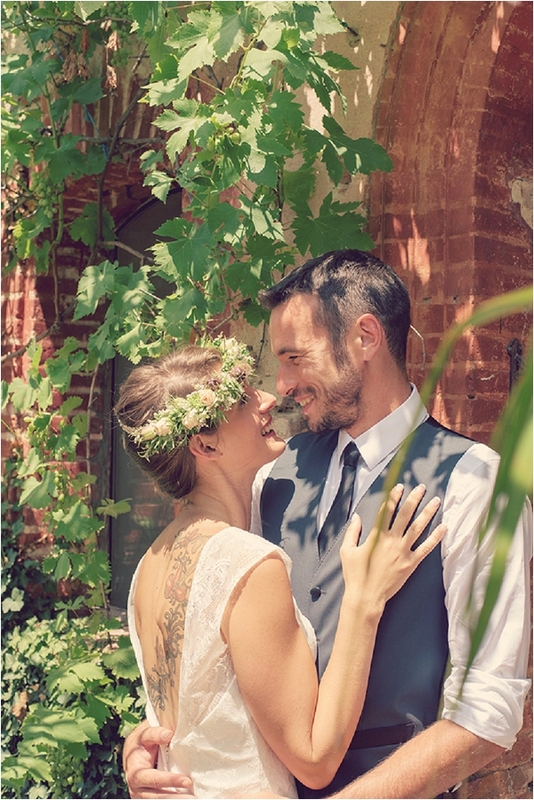 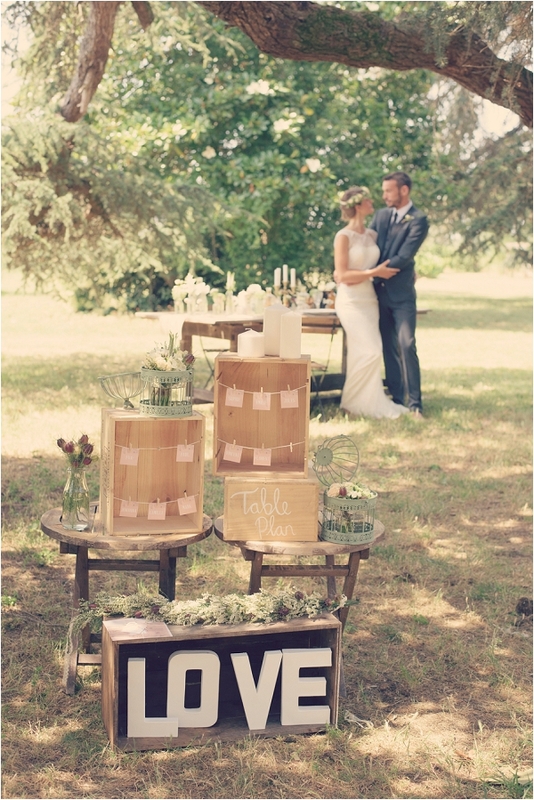 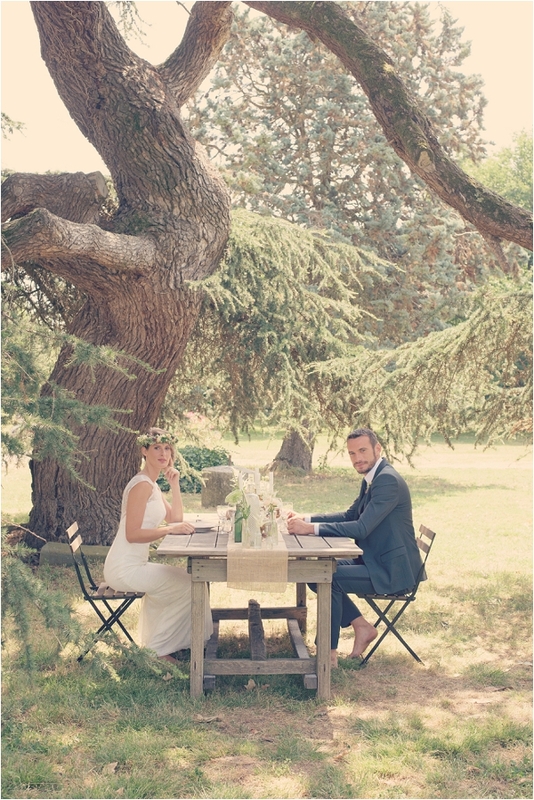 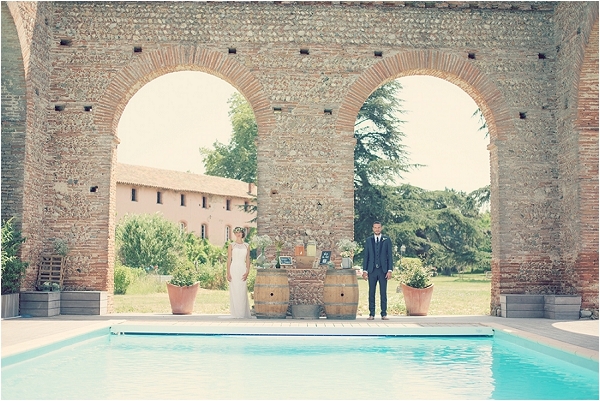 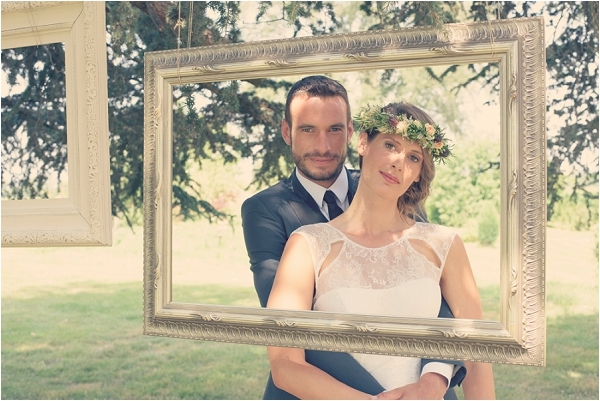 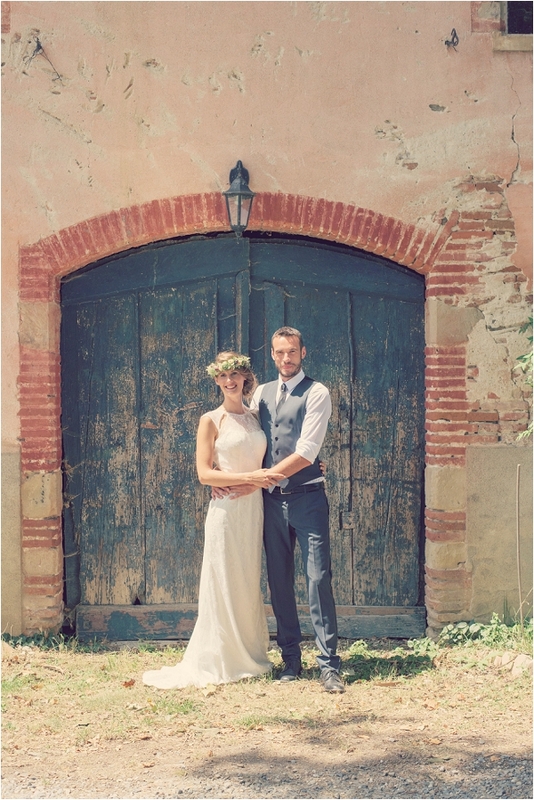 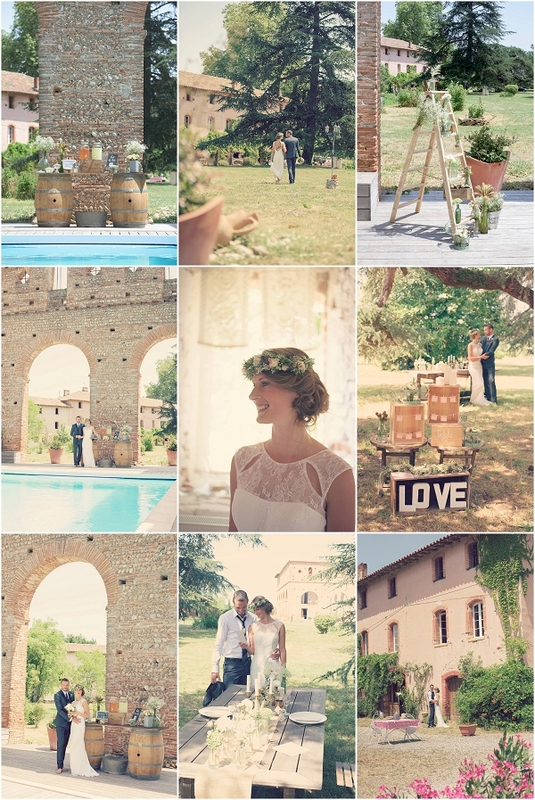 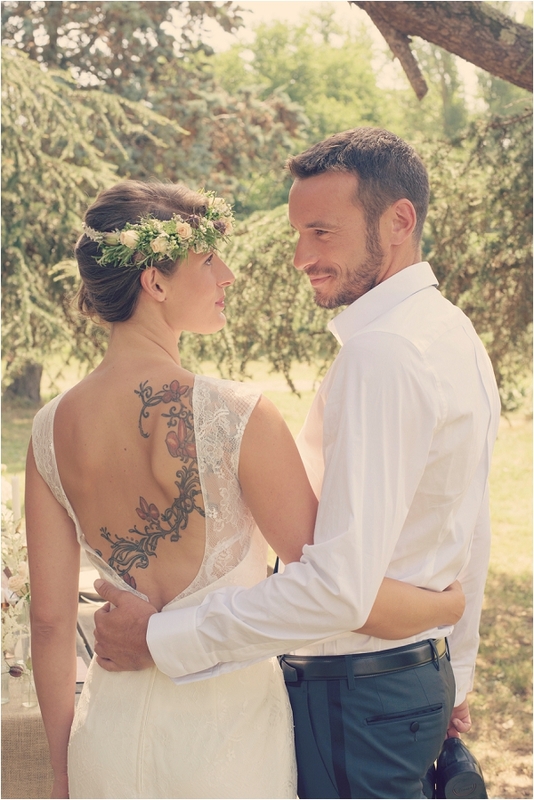 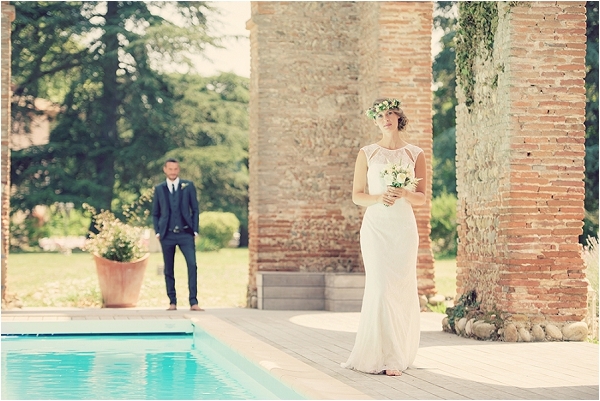 Audrey’s gorgeous gown was from Diva La Mariee and Bastien’s outfit from Gentry’s, two well-known shops in Toulouse. 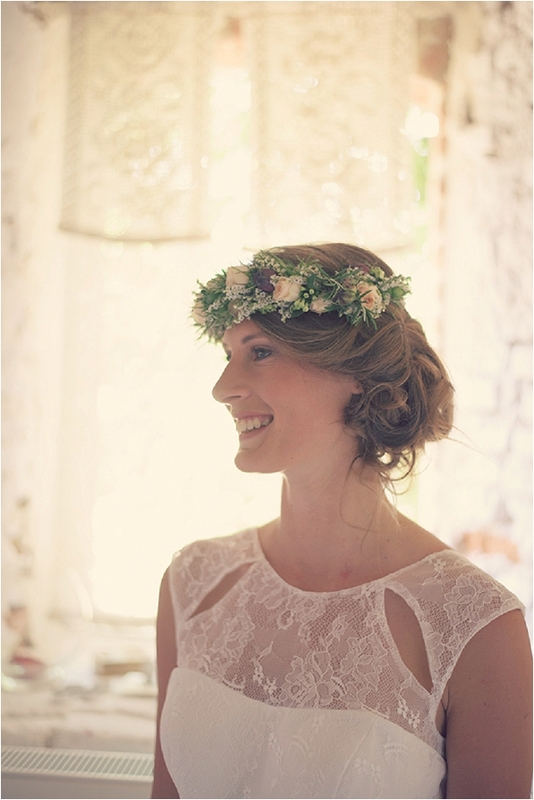 Audrey was beautified by Sarah Fekir (make-up) and Audrey Tremege (hair). 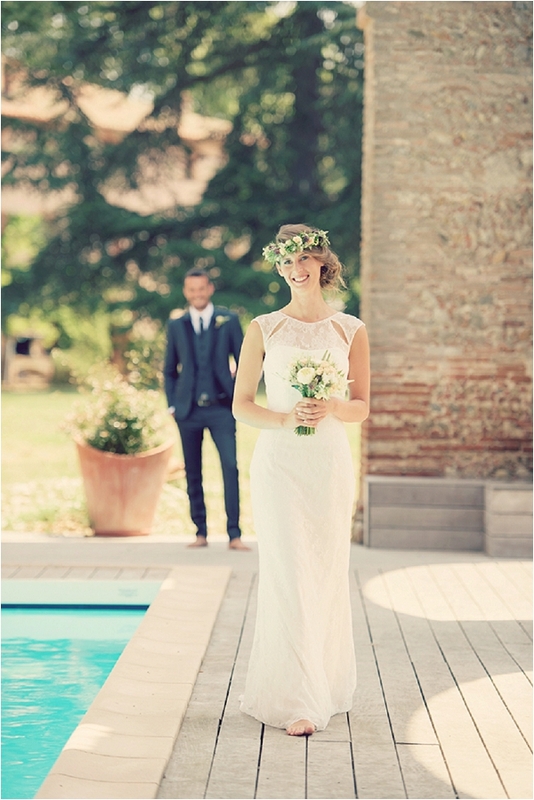 Her accessories were made by So Elegant by Nina. 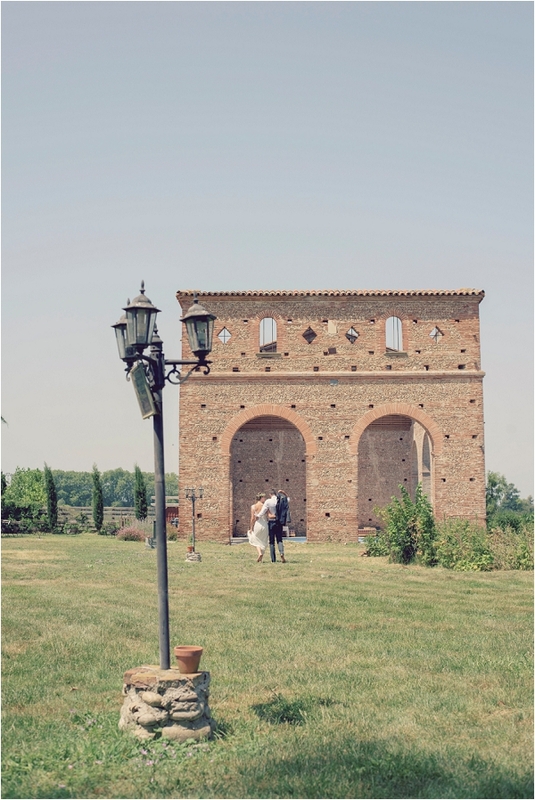 The event was beautifully captured by Mark Ward from Awardweddings. 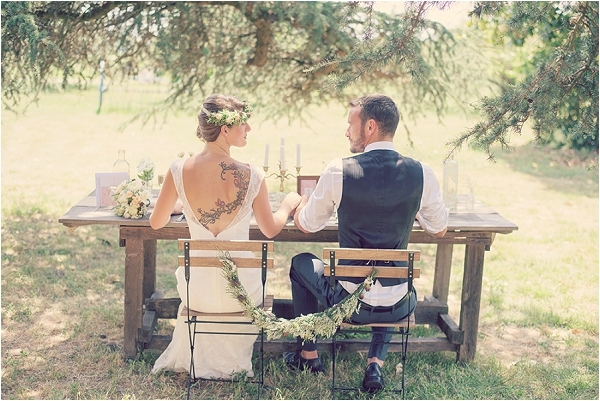 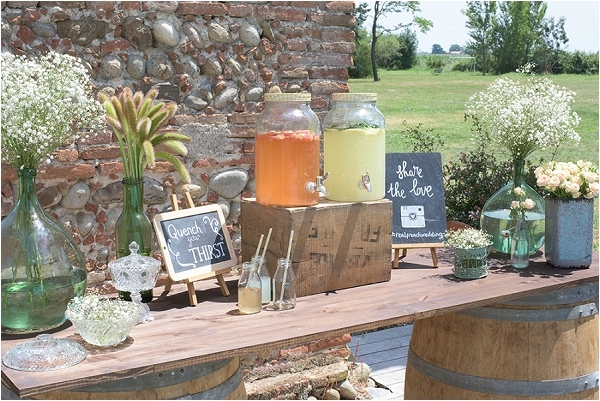 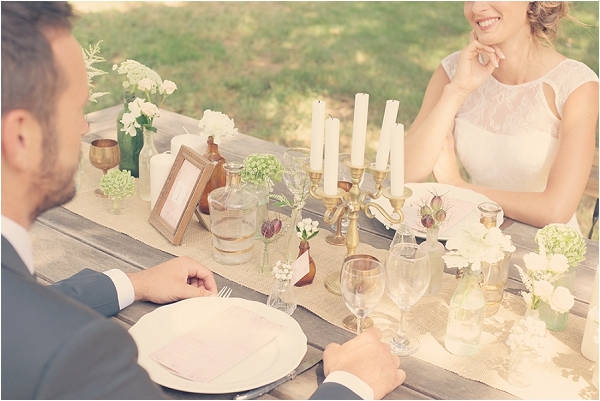 For more vintage wedding ideas click here.